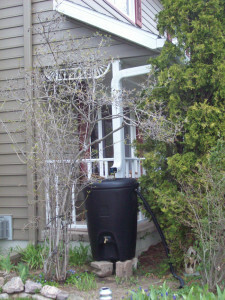 During the installation of rain gutters at your home in Placitas, New Mexico, or a surrounding community, consider having a rain barrel installed at the same time. This impressive product will allow you to collect non-potable water that can be reused during the intense dry seasons experienced frequently throughout the year. Thankfully, local homeowners can turn to the professionals at ABC Seamless of Albuquerque for the installation of many exterior home remodeling products. To ensure your new gutter system and rain barrel are functioning at maximum efficiency, it is highly recommended to also have a durable gutter cover installed. The gutter guards installed by ABC Seamless of Albuquerque will ensure that no leaves, twigs, or debris enter your gutter system which could cause blockages which would then lead to cracks, breaks, or leaks in your gutter system. And, in time this would lead to your new rain barrel not collecting enough water to provide you with the hydration your plants need during the many dry seasons. To learn more about the rain barrel and replacement gutters we offer to homeowners in Placitas, NM, and the surrounding communities, contact ABC Seamless of Albuquerque today. Alternatively, feel free to stop by our impressive showroom to see all of our products in person.